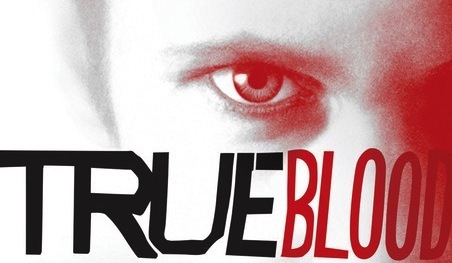 This season everything is at stake on True Blood, one of HBO’s hottest TV series. The show premiered its fifth season on June 10th at 9 p.m. Dedicated True Blood fans were extremely excited for this premiere, since one of the show’s greatest attributes is the cliffhangers it leaves at the end of every episode. The Season Four finale sure had everyone on the edge of their seats. Last season concluded with the end of the war between the vampires and the witches, with the victory going to the vamps. Sookie Stackhouse’s whirlwind romance with vampire Eric Northman, who had no memory of anyone or anything due to a spell, comes to an end when the spell is broken and his memory is regained. Sookie addresses her feelings for both Eric and Bill Compton, her former and first vampire lover. At the end of the last episode, exhausted of everything supernatural, Sookie makes her choice and picks neither of them, choosing to be on her own. The final scene of the fourth season had viewers’ hearts nearly beating out of their chests. Sookie walked in her front door to find Debbie Pelt, the unstable girlfriend of Alcide Herveaoux (Sookie’s werewolf friend with a little more than friendly feelings towards Sookie) pointing at her with a loaded shotgun. Debbie had been trying to get others to get rid of Sookie the entire season, afraid that Alcide was in love with her and finally took matters into her own hands. Tara, Sookie’s best friend since childhood, heard the commotion from upstairs and had just enough time to run down the stairs and take the bullet for Sookie. Through Debbie’s shock, Sookie was able to get the gun and used it to kill Debbie. The season ended with Sookie screaming for help with her beloved Tara bleeding to death in her arms. After what seemed like a century, the new season premiered and questions were answered. With the help of Eric Northman’s right-hand vampire child Pam, Sookie and Lafayette (Tara’s cousin) performed the ritual to turn Tara into a vampire so she could have a chance at life, even though Tara had a deep hatred for vampires. Meanwhile, the heartbroken Bill and Eric are on the run from the Authority after killing an important vampire figure before she had a chance to kill them. Sookie’s brother Jason received a surprise visit from someone he looked up to in the past who is now turned into a vampire. Jason also continues to battle his strange feelings for Jessica, Bill’s vampire child. Sam Merlotte, Sookie’s boss and friend, faces the wrath of the wolfpack after taking the blame for Alcide’s murder of Marcus, pack leader and his girlfriend’s ex husband. The episode concluded with yet another cliffhanger: after sundown Sookie retrieved Tara’s body from the ground to find that the transition hadn’t worked. Mourning the death of her friend, the episode ends with Tara springing to life and turning and attacking Sookie, ending yet another episode with Sookie screaming for help. Wondering what’s happening on the next few episodes yet to come? Here’s a hint: the new, vicious man-eating monster preys on the town of Bon Temps, Bill and Eric face the Authority head on, Sookie tries to wipe her hands clean of murder...and blood, blood and more blood. And if you’ve been hooked by these first few episodes, you’ll just have to tune in to HBO Sundays at 9 p.m. to find out the rest! i am pretty much pleased with your good work.best regards.